Scenic Sotheby’s International Realty is kicking off 2016 by welcoming Tanner Peacock as our newest Real Estate agent. 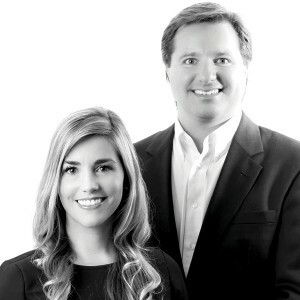 Tanner is joined by his wife, Katie, also a licensed agent who will be assisting him in his business. We are thrilled to have Tanner and Katie on board. Tanner brings 13 years of Real Estate experience with him. Not only is he gracious and extremely effective in our market, his professionalism and expertise are a great match for our firm. A graduate of Auburn University with a degree in Finance, Tanner is a lifelong Northwest Florida resident. His deep roots in our market area allows him to understand market nuances to best serve his clients. Tanner was a key player in the development of the award-winning Churchill Oaks community. Churchill Oaks is a sought-after boating and waterfront residential retreat in Santa Rosa Beach. Tanner is an active member of the local community and Realtor associations, constantly investing in his professional development through memberships in CCM and RLI. With a degree in Education, Katie was an educator along 30A for over six years before deciding to stay home with the couple’s two small children. Katie now looks forward to working with clients seeking investment properties or coastal living. An Air Force upbringing took Katie and her family all over the United States. Understanding from personal experience what it’s like to relocate, Katie is able to relate with buyers new to the area. When away from the office, Tanner and Katie enjoy spending time with their children, enjoying all the amenities South Walton has to offer.